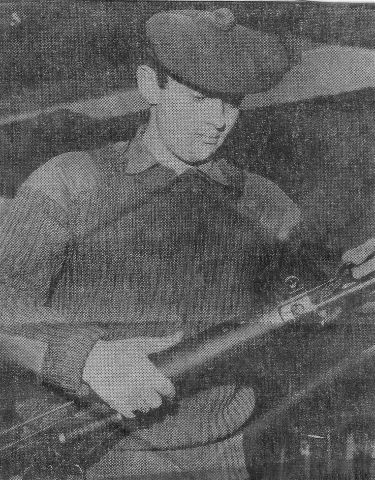 The late Jimmy Grant, Bermuda Rd., when he shot at Bisley in 1971. Jimmy was serving his time as an agricultural engineer in Robertsons of Tain. He left and joind the Queens Own Highlanders. He was sadly killed in Germany in 1974 in an Army Landrover accident. I lived next door to the Grant family in Bermuda Road in the mid sixties. They were very friendly people. I was very sad to hear of Jimmy's untimely death.